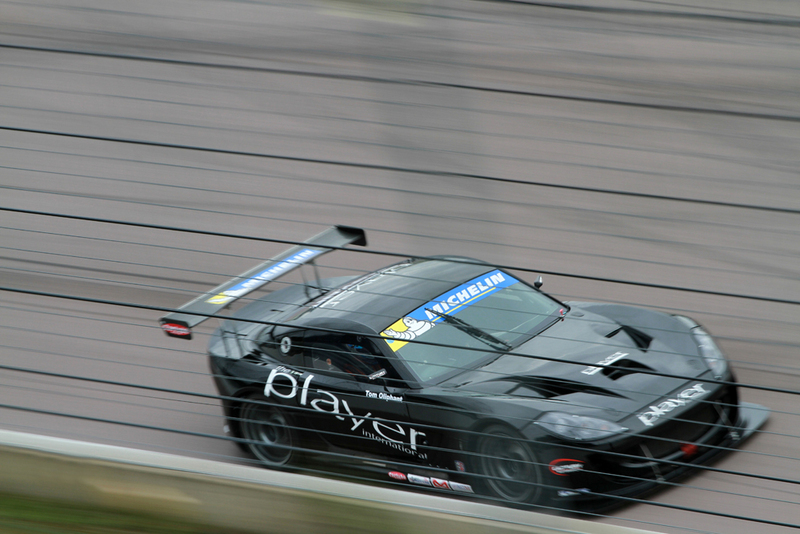 Century Motorsport welcomed a new member to their team for rounds 21 and 22 of the 2013 Ginetta GT Supercup. Single-seater graduate Tom Oliphant was set to make his GT debut as he evaluates his options ahead of the 2014 season and was looking forward to getting behind the wheel of theplayer.co.uk Ginetta G55. Having shown his true potential since switching to Century Motorsport for the second half of the season, Jamie Orton was hoping to carry his qualifying pace into the race and earn some deserving podium finishes. With both drivers showing good pace in Friday’s free practice sessions, the team were confident that their brace of drivers would put up a strong display in qualifying. However mixed conditions made tyre and setup choices almost a lottery and Jamie Orton opted to start the session on wet weather tyres. Oliphant followed the same route but quickly both drivers were in the pitlane changing over to slick tyres as the track dried out towards the end of the session. Exiting the pitlane in the closing moments of the session, both drivers managed to get a small number of flying laps in before the end of the session with Oliphant putting his car in fifth position for race one with Jamie just behind in seventh. Jamie Orton’s race one was cruelly short lived as he became caught up in an opening lap incident involving a number of the front running cars. Team mate Tom Oliphant managed to avoid the carnage but ran onto the grass in the process and fell down the order. After a brief Safety Car period, the race was back under way on lap four and a determined Oliphant was now keen to make his way back up the order. 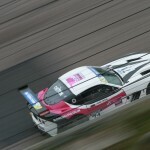 By lap eight the Cheshire driver was now up to seventh position and began to reel in Marcus Hoggarth for sixth. Crossing the finish line Tom just missed out on challenging for the position by a mere half-second. For Sunday’s second and final race of the weekend, Tom started in seventh followed by Jamie starting fourteenth as a result of his race one opening lap drama. A superb start for Orton promoted him to fourth at the end of the opening lap. 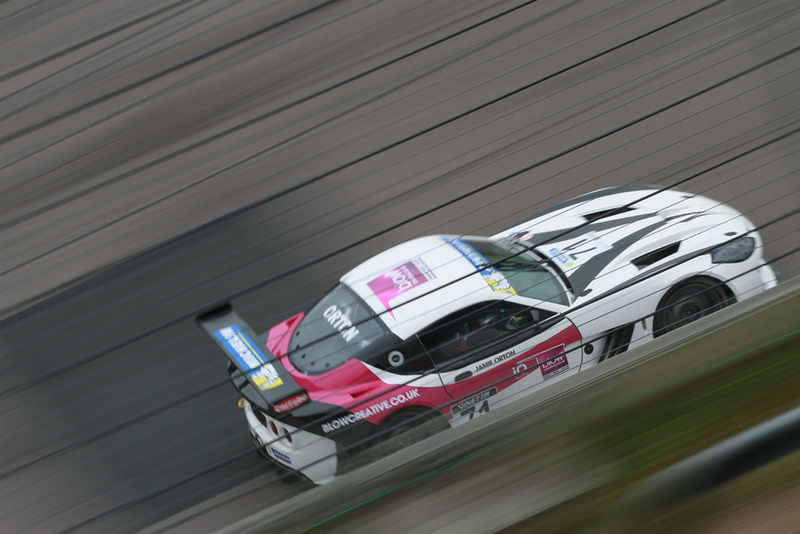 Oliphant on the other hand stalled his Ginetta G55 on the start line and found himself at the back of the pack with a mountain to climb for the remainder of the race. As the track started to dry out however, Jamie’s impressive run that had him as high as second came to a premature end when he pitted to change to slick tyres. Re-joining a lap down, Orton set a sequence of flying laps to reel in the pack. After his start line mishap, Tom Oliphant had been enjoying a superb recovery drive but was forced into the pits to replace his tyres after flat-spotting them during the early part of the race. Jamie Orton was now making the most of his early change to slicks and up to 11th position as the chequered flag fell, taking the second fastest lap of the race along the way. Oliphant’s late trip to the pits meant he crossed the line in 13th.